Metal/noise/ambient trio crafts their most accessible, and maybe most powerful, apocalypse to date. It's not a criticism of Locrian to say that this is probably not one of the places that black metal's progenitors ever thought it would wind up. The Chicago trio's sound spans gnarled ambience, power drones, and hushed beauty as much as it does dark aggression, and Return to Annihilation is an unabashed homage to heavily conceptual albums by Yes, Genesis, and King Crimson, complete with dense thematic concerns and a plot that mostly floats free from the actual songs. Thankfully a close reading of the album's narrative backdrop isn't necessary to enjoy the result (although it certainly adds something), because the power of Return to Annihilation stems primarily from Locrian increasingly impressive mastery of their sound, its heft and depth as well as its quieter shadings. Although the band has been a going concern since 2005, 2010's masterful The Crystal World marks where Locrian really came into their own, both by adding drummer Steve Hess and by focusing their blackened, shredded curls of noise around a strong concept, in this case the apocalyptic J.G. Ballard novel of the same name. The Crystal World really did sound like the death throes of an earth slowly freezing in place, occasionally cracking and shattering. 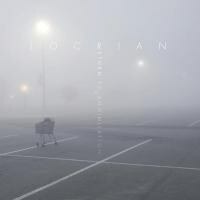 Locrian's work since has been strong, particularly last year's full-length collaboration with Mamiffer (Bless Them That Curse You), but in some ways Return to Annihilation feels like the first real follow-up to The Crystal World's apocalyptic desolation, and not just because titles include "All Minerals in Upheaval" and "In Felsic Splendor". Those aren't exactly song titles, and here we come back to the prog influence; the title track and the closing fifteen-minute-long "Obsolete Elegies" both boast subheadings to help the listener keep track of which movement is playing. But whereas The Crystal World's blasted hellscape often sounded almost like a sui generis bit of sound design rather than, well, songs, here Locrian dabble occasionally in more recognizably structured tracks. The opening, brief "Eternal Return" almost threatens to turn into super heavy, keyboard-laden dream pop (if you ignore the screaming); with different vocals you could almost call it catchy. When it segues into the patiently cycling opening surges and measured drumming of "A Visitation From the Wrath of Heaven" you might expect the intro to lead into something thunderous, and it does -- but not until the band has played out nearly seven minutes of the song's length, racheting the tension up tighter and tighter first. "Two Moons", despite the title, sounds like something frying in the sun in a way that makes you think of Earth's recent work, leading into the Glenn Branca-esque ominous guitar chimes of "Into One Light", the first segment of the title track. Throughout it all, though, Locrian still sound distinctly themselves, whether matching the gently paced atmospherics of "Exiting the Hall of Vapor and Light" with the howling chaos of "Panorama of Mirrors" or leading "Obsolete Elegies" from desolate ambience to multiple types of crescendos. The band clearly understands what you might call the Deer Hunter principle, that the moments of heightened intensity mean more when you give them an effective setting to work against, and when the guitars and everything else do fully lock in at the end of "A Visitation…" and the two multi-part tracks the impact is thunderous. I'm not good enough at deciphering Terrence Hannum's howls and shrieks to follow the mirrored apocalypses (real and perceptual) that Return to Annihilation describes, but if The Crystal World felt at times (to its credit) less like the work of humans than of some natural process here the sometimes desperate humanity of our narrator takes centre stage. That record seemed like a dead world, but this one is the record of the last people on a dying one. The sound of Locrian comes more from their metal, noise, and dark ambient roots. The strongest element the band took from its prog forebears for this compact, powerful record is just the sense of the album as a journey, one that feels complete.